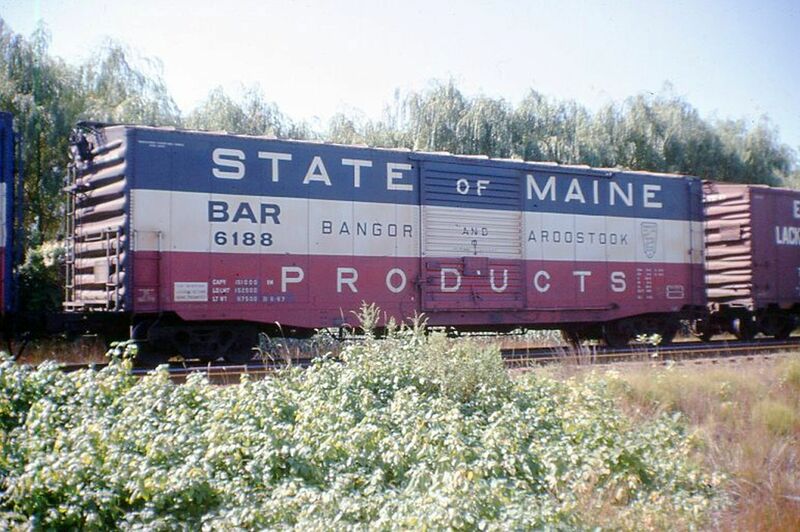 No boxcar "collection" is complete without a red, white and blue Bangor and Aroostook RR specimen. Remember, when speaking of Maine, it is only properly referred to as the "State of Maine". This car was spotted in a B&M freight in 1968. There it is!!! I knew one would show up sooner or later!!! Saw hundreds of these rolling southward thru Sudbury and Framingham in the early 70’s on the old colony, bringing potatoes to the Boston (and presumably providence) produce markets!! !